In the last thirty years, there has been a tremendous growth in the academic inquiry to understand men in their experiences as men. This growth is largely due to growing awareness of the problems that people face in trying to understand what it means to be masculine. 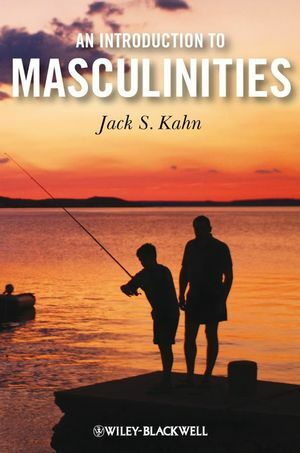 This text introduces students to the research, theories, and basic issues in the field of Men and Masculinities, highlighting debates about the definition, origin, and the crisis in masculinity. The author provides a framework for studying the field of masculinities incorporating feminist, social constructionist, and interdisciplinary perspectives. Written in an accessible style, An Introduction to Masculinities provides personal anecdotes and contemporary examples to make the theoretical concepts relevant to students’ lives. The text also introduces students to leading contributors and experts whose work have informed the field. The author gives the reader a context and structure by which they can critically understand and evaluate information about men and masculinities. Jack S. Kahn is a Professor of psychology at Curry College. He teaches courses in psychology and gender and has published articles in the areas of feminist identity for men, multicultural identity and family assessment. Jack is a member of the American Psychological Association, Association for Women in Psychology, Society for the Psychological Study of Men and Masculinity and the Constructivist Psychology Network. He is a steering member of the National Organization for Men Against Sexism (NOMAS), Boston chapter and on the editorial board for 'Women & Therapy'.